Keep your 1200 running in top condition with routine maintenance. Periodic care is outlined in the Maintenance Schedule. 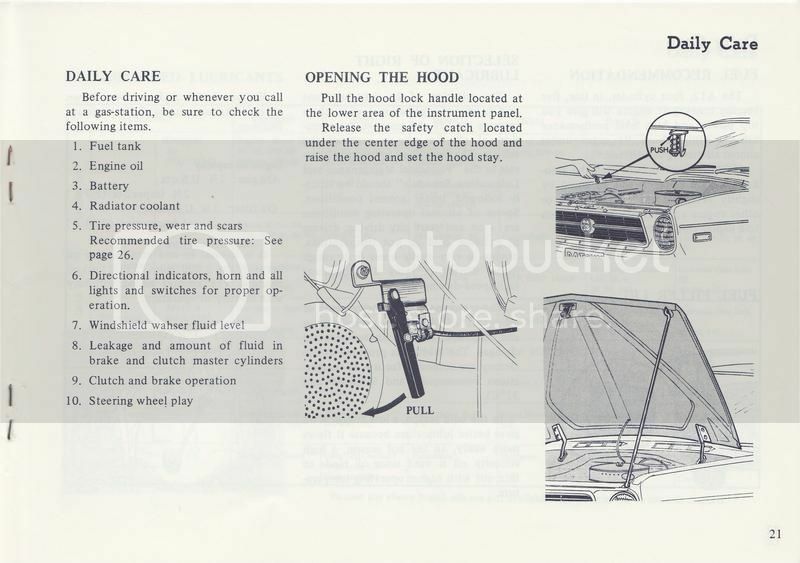 "Daily Care" is a section in the Datsun 1200 Owners manual. Every 1200 driver should be familiar with this information. Articles in category "Maintenance And Daily Care"
This page has been accessed 3,677 times. This page was last modified 03:32, 21 January 2017. Content is available under Datsun 1200 Club.